Despite current conflict in South Sudan, Nuba Water Project continues to make a difference through delivery of bore-hole repair parts, clean water drops, and tuition support for Nuba refugees. Click here (www.walkforsudan.org) for info about the Walk for Sudan. Women walk for hours a day to collect water for their families. 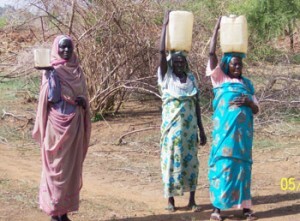 Our mission is to bring clean water to the Sudanese people of the Nuba Mountains. We do that by purchasing and delivering water pump repair kits and Safe Water Drops. Our work is for the benefit of all Nuba people regardless of religious or ethnic association. People living in remote areas of the Nuba Mountains lack access to clean water. During the dry season, some women and girls must walk up to six hours daily to fetch water from ponds that will likely make them sick. By helping the Nuba solve their age-old problem of scarce water supplies, we free the people to address other pressing needs such as education, sanitation, public health, and economic development. 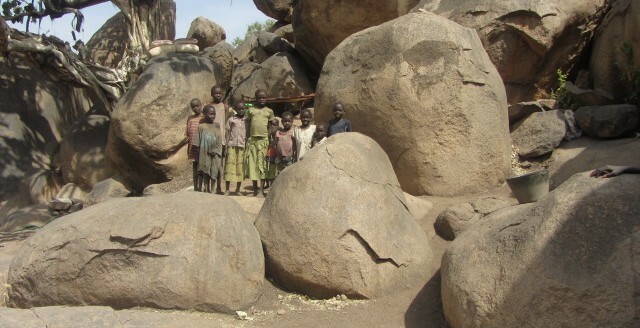 Many Sudanese lack resources to attend school. Educational support that we provide will create long-term significant impact for communities in the Nuba mountains. Nuba Water Project was founded in 2006 by Denver businessman Steve Riley and two Sudanese refugees, George Tuto and Ibrahim Agor. George and Ibrahim, determined to help their people in the Nuba Mountains, worked with Steve to identify a focus for their work…water. The motto became “Clean Water Brings Life.” Our work is made possible by direct connections with key Sudanese living in Denver and in Sudan. Nuba Water Project is not affiliated with any government or religious institution. We are a non-profit 501c3 organization committed to financial accountability at all levels of our organization. Note: In response to the current crisis in the Nuba Mountains, we have expanded our work to include humanitarian relief (delivery of soap, salt, medical supplies) and educational scholarships for refugees who have fled their villages to surrounding countries. Click below for more information on how you can help!